"Dunbar was very professional and personable. He told me what he was going to do and did it promptly. He achieved well over the asking price for my condo all in one weekend. I recommend anyone trying to buy or sell in the Boulder area to reach out to Dunbar." - Lisa T.
"Dunbar is a great communicator with an unprecedented knowledge of the market. I've utilized him as a buyer’s agent as well as a seller's agent and he's always kept my best interests first and has exceeded my expectations as an agent." - Greg E.
"I recommend Dunbar to anyone and everyone! He is highly professional, personal, informative, and communicative. He was super helpful and we are so happy with our purchase!" 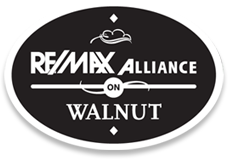 - Lily T.
"Incredible attention to detail, great demeanor, and we'd buy another house with him for sure. Throughout the process he was attentive to every question, wondering, and hair-brained idea we had. He was able to educate us a lot on the "investment value" of our home, and helped us envision our 2, 5, 10, 25 year plan for investing in real estate. Great communication, excellent prompt replies and feedback, and he really helped lead us to determine what was important to us and reassess these things throughout the process. At no time did he pressure us to make a decision one way or another." - Brian M.
"Dunbar is certainly competent to act as your realtor. However, the reason I would use him again and again is because I trust him! He listened to my needs and guided me through a very aggressive real estate market until those needs were satisfied. He is also a very pleasant person to work with. I can't recommend him too highly." - David H.
"Dunbar is a true professional. He has a keen understanding of the market, he's experienced, accessible, focused, patient and communicative. Dunbar has a fantastic way of listening to his clients' objectives and creatively getting deals done. He is highly committed to his clients and in it for the long haul. Dunbar's sense of humor and ability to remain calm throughout the real estate process makes him one in a million. If you want the best, hire Dunbar!" - Leigh S.
"Dunbar knows the neighborhoods he's selling in extremely well. He was able to provide really valuable information and guidance on properties that matched my wants/needs. Dunbar is also a fantastic communicator. He was always available and willing to answer questions and set up showings (even when he was on vacation), and made me feel very supported the throughout the process. He's essentially a real estate therapist!! I had a great experience working with Dunbar and highly recommend him!!!" - Kara P.
"I bought and sold my first house with Dunbar. He was extremely thorough and helped me every step of the way. We bought low and sold high! My dad is a real estate agent in another state and he was very impressed by Dunbar's commitment and expertise. Great experience all the way around. Thanks Dunbar!" - Grant M.
"I met Dunbar while looking at a property on my own. He pro-actively introduced himself and took the time to know me and understand what I was looking for. His knowledge of the Boulder market was unparalleled and his ability to find properties that fit my specifics was uncanny. Finally, his follow-up, attention to detail and responsiveness all contributed to the successful purchase of my property in Boulder. I recommend him highly if you are a seller or a buyer." - Joe L.
"Dunbar has helped me to purchase 2 homes in Boulder County. When I bought my first house back in 2014, I knew nothing about the house buying process. Dunbar walked me through each and ever step in detail without ever making me feel silly. When the opportunity came around to purchase an investment property this year (2016), Dunbar worked diligently with me to make it happen. Dunbar used his extensive network to help me find and make an offer on a property that hadn't gone to market yet. This helped me to get my foot in the door (in a very hot sellers market) and allowed me to make the purchase within my crunched timeframe. Following the purchase, Dunbar gave me great local contacts (cleaners, handyman help, etc.) and advice on getting the investment property rented. Dunbar knows his stuff, is incredibly responsive and I would recommend him to both first time home buyers and more experienced purchasers." - Hannah L.
"Thank you "teammate" for the opportunity to work together during my Boulder adventure! I will always be thankful for you and will look back on your diligence in helping me follow my heart." - Michele S.
"Thank you so much for all of your help in the home buying process! We are thrilled to be Colorado home owners and we definitely could not have done it without your help. We really enjoyed working with you and will definitely recommend you to anyone looking for a realtor. Thanks again!" - Mike H.